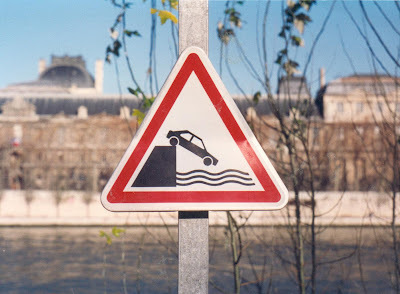 We saw this warning sign in Paris along the river. In the United States, we would build a four foot high barrier with a metal fence on top of it all along the length of the river. In Paris, they put up a sign and hope you have common sense. If you do find yourself heading for the dropoff... aim for the sign.